Your Check is Welcome. The Kinnikinnick School System recognizes that occasionally a parent may inadvertently overdraw a checking account and a check may be returned by your bank. In order to recover these funds in a private and professional manner, the Kinnikinnick School System has contracted with Nexcheck, LLC, for collection of returned checks. 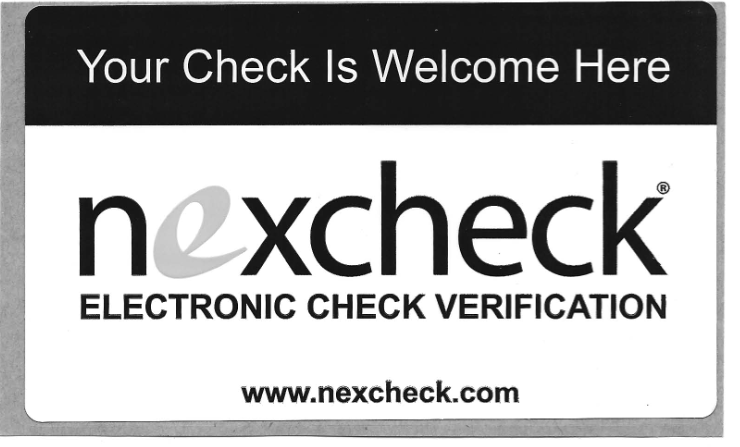 If the check and fee are not collected electronically, Nexcheck will contact the check writer by mail and/or by telephone to make payment arrangements. All payments need to be made directly to Nexcheck, P.O. Box 19688, Birmingham, AL 35219. For a convenience fee, payments of both check and fee may be made electronically at www.nexcheck.com or over the phone (800-639-2435) using a credit card, debit card or electronic check.